Welcome to the World of New Genesis! This website and the Dungeons & Dragons Campaign Setting it contains are both works in progress. This site has two main purposes: To provide me a way to organize and structure my work on my campaign setting and to provide my players a way to navigate, observe and comment on the work in progress. This Campaign Setting is set roughly 500 years after the conclusion of the "Army of New Genesis" campaign, which ran for 5 years and spanned 3 different iterations of the D&D rules. The Campaign Setting itself has been run for over 20 years and has spanned 5(!) Editions of D&D rules! The information found on this site is currently being updated and translated to the 5th Edition of the Dungeons & Dragons role-playing game. New Genesis is a world at its pinnacle of magical and technological mastery. Elven arcane masters fight along side belching, steam powered Aragonian mechanika. A Human brigand produces both a rapier and a blackpowder quad-iron pistol against a Zamberian Dragon-man. A Necrotech enhanced, Defiled fleshcrafter unleashes a barrage of crackling Spark at a deft Golden Gnome Physical Adept. A Bloodwing pirate captain and his crew attempts a raid on the last Dwarven city on the planet, the air-ship producing Skyharbor, located on the highest mountain peak in the known world. From the highest spire of the Floating Citadel to the deepest recesses of the Coredepth caves, from the exotic and ancient lands of the half-dragon Zamberians to the Beastial East where monsters rule, from the steam and smoke shrouded capital city of Aragos in the dark southern continent of Downspin to the fridged northern glaciers of the Barbarians, New Genesis needs adventurers like you! The celebration and ceremony for the re-taking of Nex was jubilant, at least by Defiled standards. Lady De'Fyll bestowed a new title to the heroes... they would now be known as The Undying, to Defiled everywhere. As a symbol of their title and station, each of the heroes was also presented with a small, self-contained, magically enhanced, self-charging Spark battery, in the form of a small, darksteel and glass locket. During the reception after the formal ceremony, the heroes spotted a lithe scout speak with Lady De'Fyll, causing an expression of mild concern to cross her porcelain face. Summoning the Undying to her meeting chambers, she explains that a scout had just discovered the remains of a zombie... that bore the mark of Grindstaff the Gaunt. 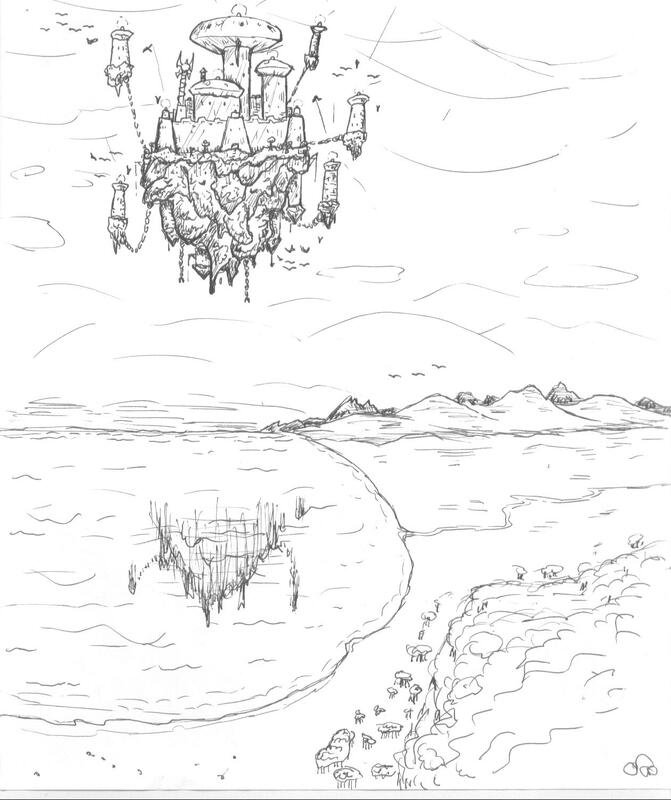 The Scout investigation further and tracked it back to Eyespur Tower, an ancient and long-abandoned prison perched on the rocky, storm-lashed coast to the east of Vanth. Not one to act with half-measures, Lady De'Fyll ordered the Undying to their first official task: explore Eyespur Tower for any sign of Grindstaff. She reasoned that what better base of operations than one under the nose of your enemy, a place where they may never look? The recharged and re-equipped Defiled army, led by Lenora, the Captain of the Guard, were to accompany the Undying to the tower, in the case of mass resistance. At dawn, they rode. A couple of days of travel later, the heroes, and the accompanying army of Defiled, emerged from the Graywood and spied the looming tower. As feared, throngs of shuffling undead began to pour from the abandoned prison... Grindstaff's dark work, no doubt. The Defiled army swiftly made ranks and met the horde head-on, attempting to drive a wedge for the Undying to pass through, so that they may enter the tower proper. Seeing their opportunity, the Undying urged their Defiled horses on and charged through the fray, past the hundreds of skeletons and zombies to the squat prison at the base of the tower. With the sounds of the battle raging behind them and the roar of the waves crashing upon the rocks coming from below, the heroes slipped inside the prison. They were immediately set upon by large, fleshy creature in ill-fitting armor! After the massive humanoid was defeated, they discovered that it was, in fact, a Flesh Golem that had armor plates riveted directly to its body. Upon closer inspection a strange, and quite worn with age, symbol was discovered engraved into the metal chestpiece: the wizard mark of Addison Bain. 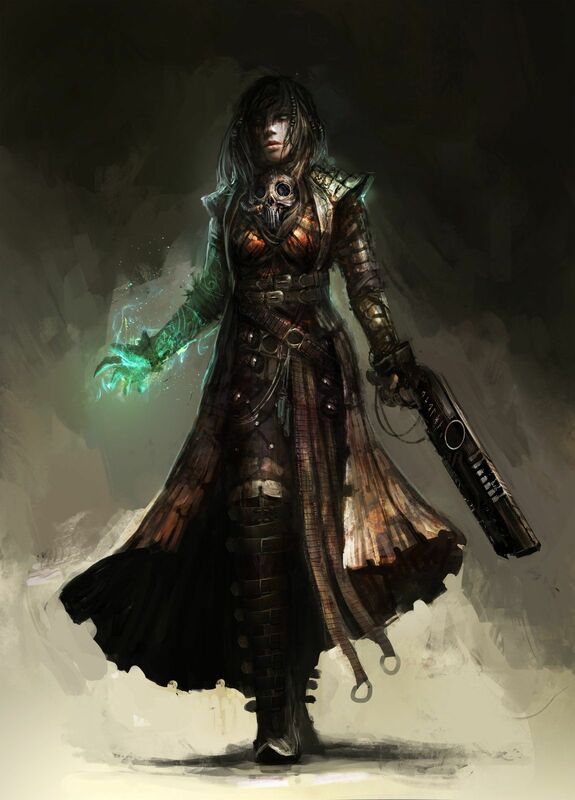 Bain was a well-known Artificer, Golem-maker, and inventor of magical Constructs several hundred years ago. Perhaps this prison purchased these Golems from him and used them as guards or for defense? The Undying continued deeper into the prison and passed dozens of empty cells, their doors flung open. It seemed that the undead being battled outside were stacked like cordwood to the ceiling until just before the army arrived... the heroes guessed it took many years to accumulate so many bodies and raise them as mindless servants. The heroes finally reached the spiral staircase that made its way up the 4 levels of the tower and they began their ascent. The first floor above ground level contained living areas, most likely for the higher-rank guards and possibly the warden. The second floor was a Necromantic laboratory, with a portion dedicated to Golem dissection; Grindstaff seemed to be trying to reverse engineer the magical and mechanical genius of Addison Bain's creations. An 'Allip', an incorporeal spirit created by a mortal soul being shredded by secret, cosmic knowledge, sprang from a book and attacked the party. Despite it's attempts to spread its madness to Theron, it was swiftly destroyed. The third floor was packed, floor to ceiling, with stolen and reconstituted Necrotech... sparking wires, glass and steel vats of bubbling liquids, pulsating masses of black flesh inside Spark batteries, and countless unrecognizable pieces of equipment made simply moving through the room difficult. Amid the jungle of eldritch technology, two Bodak lurked... They pounced upon the Undying and almost immediately killed Zephir with a single glance, the Bodak's countenance stealing the very lifeforce from his body. Zephir collapsed and the other heroes tried their best to dispatch the horrid undead monsters while not looking at them, to avoid invoking their deathly gazes. Calling up the fury of his deity, the power of Forge, Blazer turned one of the Bodaks, allowing one to be destroyed in combat and the other to be forced to flee. Unfortunately, the creature's Aura of Annihilation was still effect and nearly drained the entire party of life... Only the quick thinking of Theron, and his willingness to take a chance, saved their lives. 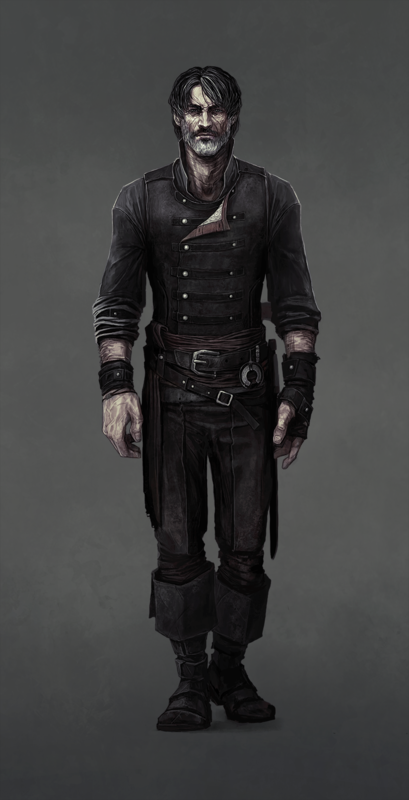 Using his Hat of Disguise, he made himself appear as Grindstaff and successfully fooled the remaining Bodak into believing that he was, indeed, the Necromancer himself. Theron ordered the creature to cease its Aura and sent it below, into the awaiting blades of the Defiled army that had just entered the prison. Being a form of undead themselves and being immune to many of the Bodak's anti-life powers, they would make short work of the monster. The Undying, exhausted and nearly spent, searched the room in detail as they waited for the Defiled army to catch with them. What they found revealed the scope and breadth of the threat Grindstaff posed; it was not only to the Defiled, but the rest of the world, as well. Grindstaff was developing 'Miasma Bombs': containers of a concentrated form of the Miasma that enshrouded the Defiled lands and that created the twisted and mutated Greywood. These containers could be set off in populated areas and, if his notes were to be believed, turn any living creature affected by their payload into Defiled-like undead under his control. From the notes and diagrams that Grindstaff seemed to have hastily abandoned, a small bomb could affect an entire small village. A large one, an entire city, even one the size of Terra. Thousands could be turned at once. Along with a small prototype bomb, the heroes took the large, pinned and annotated map that filled the wall above the workstation. The map had several marked locations with few of those scratched out: His secret Laboratories in Terra and Seavale were marked out, leaving three: Zamber, Aragos, and Southton; all large, capital cities. Three locations were marked as 'Test Sites': Greyhook, Cliffport, and Evynnflow; all small, out of the way villages. The Defiled army soon arrived onto the tower floor and joined forces with the wounded and battle-weary Undying. Moving, en mass, up to the fourth and final floor of the Eyespur Tower, the group entered a lush and well-appointed loft. To the South, a lavish sitting area with velvet couches, to the Southwest a stocked dinette kitchen, to the West, a small desk and writing area with bookcases, and finally, to the North, a massive four-post bed. Standing and facing away from the heroes, motionless and silent, next to the bed were two female figures: one adult, the other of a girl around 10 years of age. The figures were dressed in fine clothes and had luxurious, long hair... and seemed to be chained to the bed by metal collars. As the heroes feared, the figures were the zombified remains of Grindstaff's wife and daughter, killed some 15 years before, the massive gashes splitting their throats ear-to-ear, still open and exposed. The zombies were acquiescent and did not react to being led away by the Defiled to a secure location. The room was then thoroughly searched, revealing Grindstaff's personal journals and ledgers. By his own words, he wanted revenge upon all living people, and the Thieves Guild especially, for betraying him and murdering his family. But, beyond simply murdering his wife and child, the Guild stole their souls with a modified 'Magic Jar'-type spell, to use as leverage against him. Without their souls free to return to their bodies, no form of Resurrection, short of a mighty Wish spell (or two), would ever work. 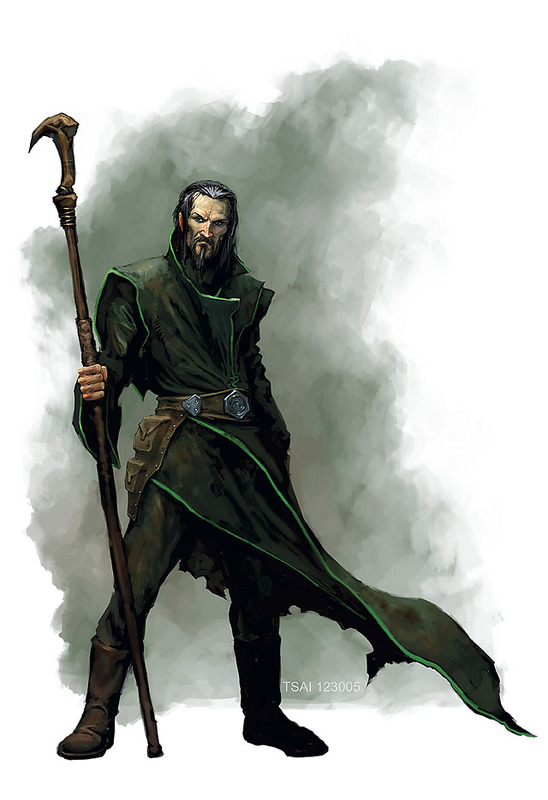 Grindstaff seemed to be under the delusion that turning his family into Defiled would forgo the need for their souls, but Blazer, Cleric of the Forge, quickly determined that was nonsense. The heroes gathered Grindstaff's journals and rejoined the Defiled army on the battlefield outside the prison. The Defiled took only minor casulaties against the large, but overall weak, horde of simple undead. As the Undying discussed the situation with Lenora, she revealed that, since their arrival, the Defiled had been working on 'a surprise' for the party, and told them to meet her in the nearby port town of Vanth. In the meantime, she was to go to D'Kae and retreive Theron's estranged father (and former Thieves Guild operative), Deverick. He would be the one to finally put all the pieces together and perhaps give insight to what Grindstaff was planning next.. and where. In Vanth, the heroes were given back ownership of the 'BSTC Throatcutter', the caravel they arrived on. In the intervening weeks, the Defiled had completely remade the ship with the semi-undead, not-quite-alive magic of Necrotech. The sails, when backlit, revealed faint veins and a skin-like texture. The hull was infused with a dark, necrotic mold. A large Sparkcannon replaced the ballista on the forecastle. The ropes and pulleys replaced by muscle and sinew. In the bowels of the ship, a massive Spark engine quietly bubbled and flexed, powering the entire thing. According the to the Defiled shipwrights, the vessel was mildly intelligent, could generally operate itself and even 'heal' damage to its structure, provided that the Spark engine was fed still-living flesh, at least once a month. Beyond the ship itself, the crew was also returned. Captain Bilge, the unusually evolved Orc, was there, along with remaining mortal crew. Merc, the 1st Mate, was also there, along with the rest of his mutineers. Due to their rash decision to 'escape' the Miasma-proof Mansion, they had been turned into Defiled and were still adjusting to their new reality. Their new reliance upon Spark meant that they were now bound to the ship, and its Spark engine, for continued survival. The ship was now fully re-built and fully crewed, which led to the heroes to rename the vessel. In honor of their patron, they decided upon 'H.M.S. Darkwynd'. The Undying spent the day exploring the ship, re-acquainting themselves with the crew, and delving into the wealth of information gleaned from Grindstaff sanctum. The next day, Deverick arrived and the heroes questioned him, perhaps for the last time, about his past and knowledge of Grindstaff the Gaunt. Deverick was once Grindstaff's partner in crime and his closest friend. 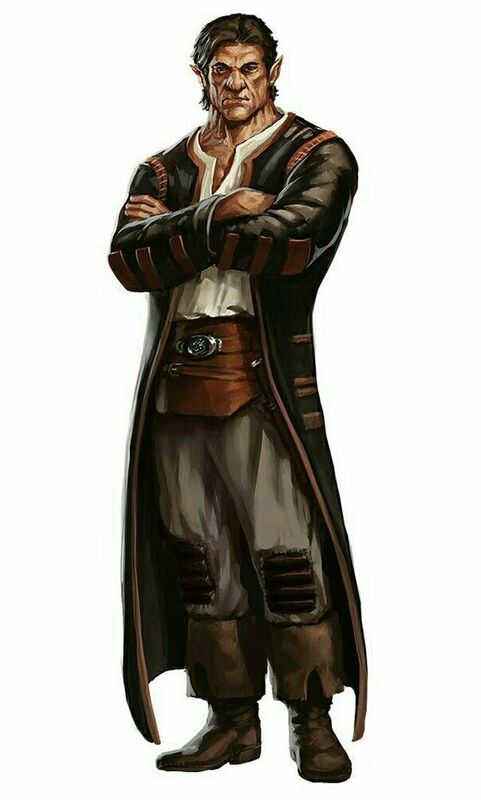 When it came to his loyalties, however, he chose the Thieves Guild over Grindstaff and his family... as Deverick had his own small family, including Theron, to consider. So, Deverick betrayed Grindstaff, murdered his family and literally stole their souls. Told of Grindstaff's journals, Deverick concluded that Grindstaff was now quite insane, driven to madness by his rage and grief. The Undying then discussed their next moves. Options were plenty: Three remaining laboratories where Grindstaff might continue his work and be hiding, three test area that might be converted into Defiled armies under the necromancers control, and the mystery of where the souls of Grindstaff's wife are daughter were hidden. 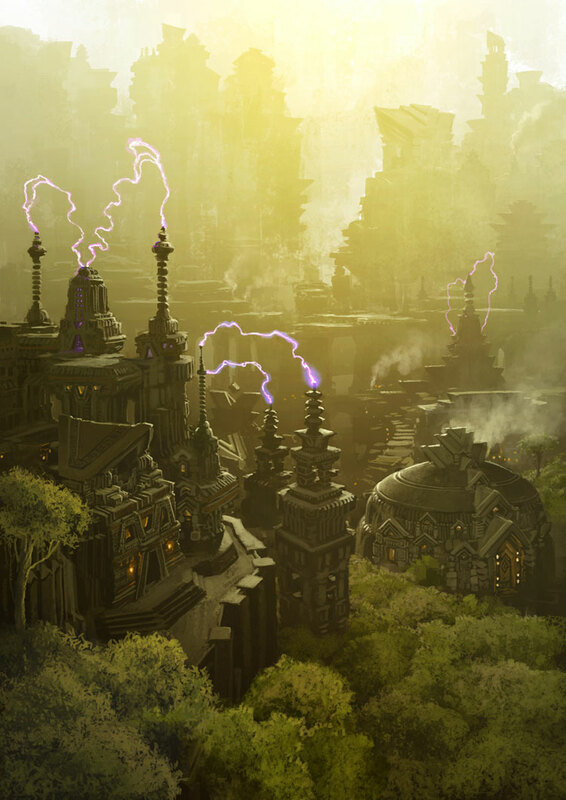 After some heated debate and strategizing, the general consensus was to head to nearby Zamber, land of the dragon-men and location of one of Grindstaff's laboratories. World of New Genesis © 2007-2018 Scott Kelley Dungeons & Dragons © 1995-2018 Wizards of the Coast, Inc.